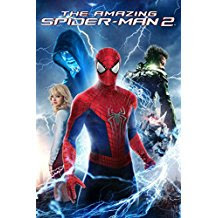 Spider-Man follows Peter Parker (Tobey Maguire), an orphaned high schooler who pines after popular girl-next-door Mary Jane Watson (Kirsten Dunst). While on a science class field trip, Peter is bitten by a genetically-engineered "super spider." As a result, Peter gains superhuman abilities, including increased strength, speed, and the abilities to scale walls and generate organic webbing. 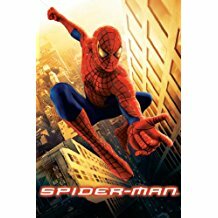 After his beloved Uncle Ben (Cliff Robertson) is murdered, the teenager realizes that he must use his newfound abilities to protect New York City. Meanwhile, wealthy industrialist Norman Osborn (Willem Dafoe), the father of Peter's best friend Harry Osborn (James Franco), subjects himself to an experimental performance-enhancing serum, which creates a psychotic and murderous split personality. Donning a military battlesuit, Norman becomes a freakish "Green Goblin", who begins to terrorize the city. Peter, as Spider-Man, now must do battle with the Goblin, all while trying to express his true feelings for Mary Jane. 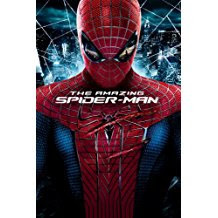 Two years after the events of the first film, Peter struggles to balance his superhero and private lives and still pines after Mary Jane Watson, who is now engaged. Harry Osborn continues to believe Spider-Man is responsible for his father Norman Osborn's death. Spider-Man contends with scientist Otto Octavius (Alfred Molina), a.k.a. Dr. Octopus, who has four mechanical tentacles fused to his spine and sets out to recreate a fusion-based experiment that could destroy much of New York City. 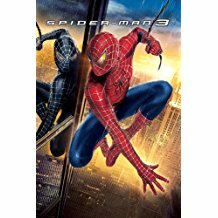 Spider-Man 3 picks up one year after the events of the second film. Peter is still seeing Mary Jane Watson, while Harry Osborn succeeds his father as the new Green Goblin. Eddie Brock (Topher Grace), who like Peter is a photographer for the Daily Bugle, sets out to defame Spider-Man and incriminate him. Flint Marko (Thomas Haden Church), an escaped convict, falls into a particle accelerator and becomes a shape-shifting sand monster later known as Sandman. Peter later learns that Marko is the one that killed Uncle Ben, causing Peter's own dark intentions to grow. This vendetta is enhanced by the appearance of the mysterious black alien symbiotic substance that bonds to Peter, resulting in the formation of a new black costume. Once Peter separates himself from the alien, it finds a new host in the form of Brock, resulting in the creation of Venom.